Chilli Hills is a boutique family farm in the Vitosha mountains of Bulgaria which specialises in the cultivation of domestic and international strains of chilli pepper. 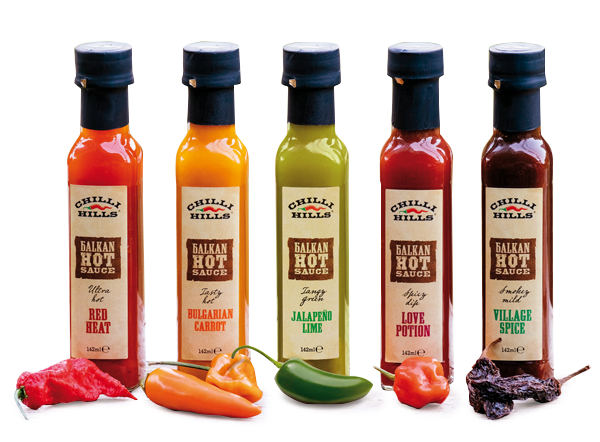 Launched as a brand in 2014, their uniquely devoted approach to product excellence and establishing new tastes saw Chilli Hills rapidly become a stamp of quality and the brand quickly positioned itself as a leader in the chilli product market in Bulgaria. The product range of the brand so far exceeds 30 different variations, from their famous Balkan Hot Sauces to craft chilli beer, chilli-infused brandy, gourmet chilli salts, chilli-infused oils and many others, including of course the hottest peppers in the world.